Sometimes the simplest dishes are the best. The secret? Quality, fresh ingredients! This recipe is simple to make using available fresh ingredients. 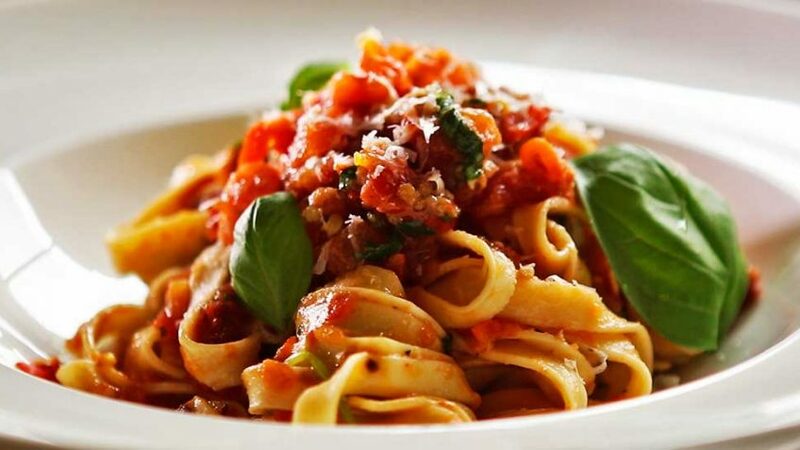 It’s made using fresh ingredients and fresh pasta although you can use dry pasta if you wish. See my fresh pasta recipe if you wish to make it yourself. Place a large pot or saucepan of water on high heat. Once it boils, bring it down to a simmer and add salt. Remove the cores from the tomatoes, slice and dice finely. Set aside. In a frying pan add 2 tbsp of olive oil with chopped chili and minced garlic. Once sizzling, deglaze with the white wine. (Always be careful if it flames). Add the anchovies finely chopped. Add the chopped fresh tomatoes and the chopped sun dried tomatoes. Check seasoning and add salt if necessary. Add some cracked pepper. Add the butter and mix until melted. Leave to simmer. Add your pasta to the water once simmering. 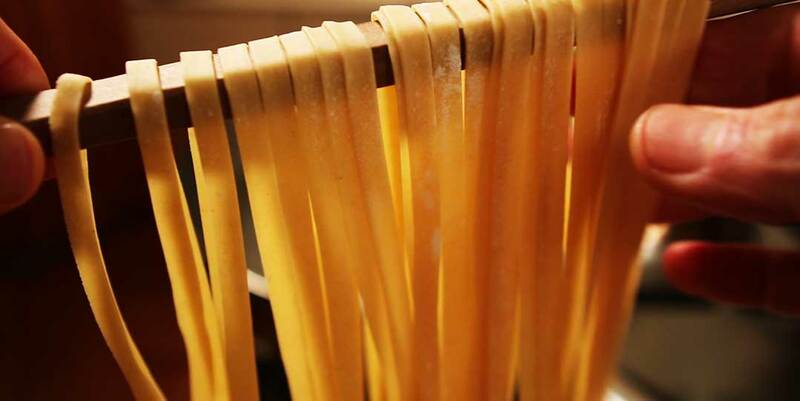 Fresh pasta should only take two minutes in the water and one minute in the sauce. For dry pasta see directions on packet. Shred the basil leaves by rolling them into a cigar shape and slicing finely (keep a few leaves for garnish). 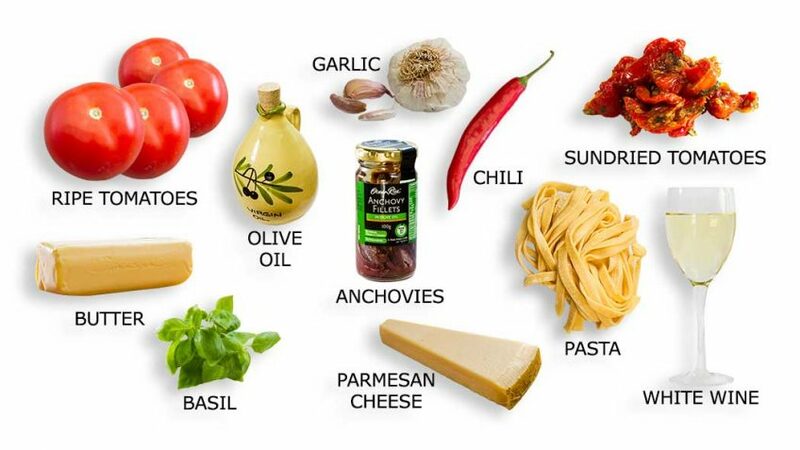 Add to the pasta and mix well. Add three quarters of the grated Parmesan cheese, continue mixing. Place in a spiral on hot serving plates. Drizzle a little more olive oil, and sprinkle the rest of the grated cheese. Scatter a few fresh basil leaves.